Match ends, DPR Korea 0, Qatar 6. 90+4' Second Half ends, DPR Korea 0, Qatar 6. 90+2' Corner, DPR Korea. Conceded by Bassam Al Rawi. 90' Second yellow card to Jong Il-Gwan (DPR Korea) for a bad foul. 90' Boualem Khoukhi (Qatar) wins a free kick in the attacking half. 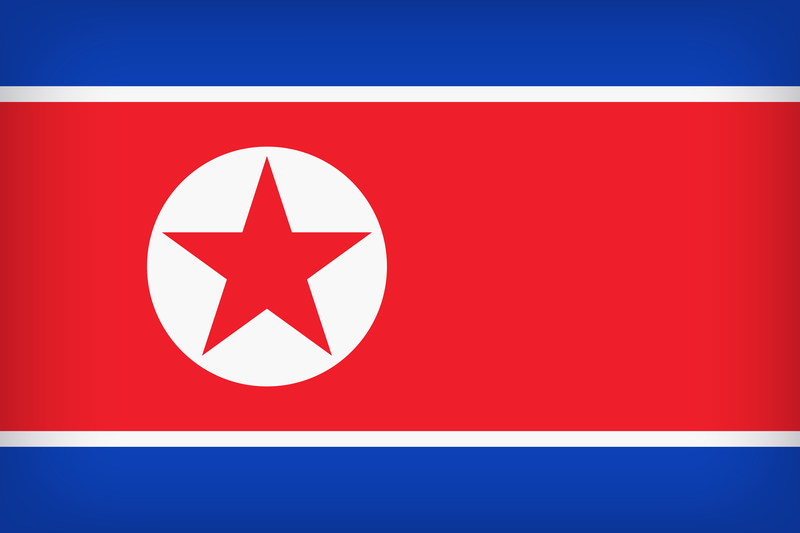 90' Foul by Jong Il-Gwan (DPR Korea). 87' Delay in match Ri Un-Chol (DPR Korea) because of an injury. 86' Offside, DPR Korea. Ri Un-Chol tries a through ball, but Kim Kyong-Hun is caught offside. 85' Foul by Tarek Salman (Qatar). 85' Ri Hyok-Chol (DPR Korea) wins a free kick on the right wing. 84' Boualem Khoukhi (Qatar) wins a free kick in the defensive half. 84' Foul by Pak Kwang-Ryong (DPR Korea). 83' Foul by Boualem Khoukhi (Qatar). 83' Ri Il-Jin (DPR Korea) wins a free kick in the defensive half. 80' Substitution, Qatar. Ali Hassan Afif replaces Abdelkarim Hassan. 80' Foul by Ahmed Fathy (Qatar). 80' Kim Kyong-Hun (DPR Korea) wins a free kick in the defensive half. 80' Attempt missed. Ahmed Fathy (Qatar) right footed shot from outside the box misses to the right. Assisted by Abdelkarim Hassan. 77' Foul by Ahmed Fathy (Qatar). 77' Ri Un-Chol (DPR Korea) wins a free kick on the left wing. 77' Substitution, DPR Korea. Ri Thong-Il replaces Kim Song-Gi. 76' Foul by Hamid Ismaeil (Qatar). 76' Kim Song-Gi (DPR Korea) wins a free kick in the defensive half. 74' Hasan Al Haydos (Qatar) wins a free kick in the defensive half. 74' Foul by Ri Il-Jin (DPR Korea). 74' Substitution, Qatar. Hamid Ismaeil replaces Pedro Correia. 72' Foul by Bassam Al Rawi (Qatar). 72' Pak Kwang-Ryong (DPR Korea) wins a free kick on the left wing. 71' Substitution, Qatar. Ahmed Fathy replaces Assim Omer Madibo. 70' Hand ball by Assim Omer Madibo (Qatar). 68' Goal! DPR Korea 0, Qatar 6. Abdelkarim Hassan (Qatar) left footed shot from the left side of the box to the bottom right corner. Assisted by Almoez Ali. 66' Hand ball by Jong Il-Gwan (DPR Korea). 65' Offside, DPR Korea. Ri Il-Jin tries a through ball, but Jong Il-Gwan is caught offside. 64' Foul by Akram Hassan Afif (Qatar). 64' Ri Un-Chol (DPR Korea) wins a free kick on the left wing. 63' Corner, Qatar. Conceded by Ri Yong-jik. 63' Attempt blocked. Boualem Khoukhi (Qatar) right footed shot from outside the box is blocked. Assisted by Akram Hassan Afif. 63' Substitution, DPR Korea. Ri Yong-jik replaces Rim Kwang-Hyok. 62' Corner, Qatar. Conceded by Ri Myong-guk. 62' Attempt blocked. Almoez Ali (Qatar) right footed shot from the centre of the box is blocked. Assisted by Pedro Correia. 60' Goal! DPR Korea 0, Qatar 5. Almoez Ali (Qatar) left footed shot from the left side of the box to the bottom right corner. Assisted by Akram Hassan Afif following a fast break. 58' Corner, DPR Korea. Conceded by Tarek Salman. 57' Attempt missed. Pak Kwang-Ryong (DPR Korea) right footed shot from the left side of the box is close, but misses to the left. Assisted by Ri Il-Jin. 56' Bassam Al Rawi (Qatar) wins a free kick in the defensive half. 56' Foul by Pak Kwang-Ryong (DPR Korea). 55' Goal! DPR Korea 0, Qatar 4. Almoez Ali (Qatar) left footed shot from the centre of the box to the centre of the goal. Assisted by Akram Hassan Afif with a through ball. 54' Pak Kwang-Ryong (DPR Korea) is shown the yellow card for a bad foul. 54' Pedro Correia (Qatar) wins a free kick in the defensive half. 54' Foul by Pak Kwang-Ryong (DPR Korea). 53' Hasan Al Haydos (Qatar) wins a free kick in the defensive half. 53' Foul by Rim Kwang-Hyok (DPR Korea). 51' Attempt blocked. Hasan Al Haydos (Qatar) right footed shot from outside the box is blocked. Assisted by Akram Hassan Afif. 47' Offside, DPR Korea. Ri Myong-guk tries a through ball, but Ri Hyok-Chol is caught offside. Second Half begins DPR Korea 0, Qatar 3. 45+2' First Half ends, DPR Korea 0, Qatar 3. 45+1' Foul by Pedro Correia (Qatar). 45+1' Ri Hyok-Chol (DPR Korea) wins a free kick on the left wing. 44' Offside, DPR Korea. Pak Kwang-Ryong tries a through ball, but Jong Il-Gwan is caught offside. 43' Substitution, DPR Korea. Ri Hyok-Chol replaces Kim Yong-Il. 43' Goal! DPR Korea 0, Qatar 3. Boualem Khoukhi (Qatar) header from the centre of the box to the centre of the goal. Assisted by Akram Hassan Afif. 43' Attempt missed. Akram Hassan Afif (Qatar) left footed shot from the left side of the box misses to the right. Assisted by Hasan Al Haydos. 39' Corner, Qatar. Conceded by Kim Chol-Bom. 39' Kim Yong-Il (DPR Korea) is shown the yellow card for a bad foul. 38' Boualem Khoukhi (Qatar) wins a free kick in the attacking half. 38' Foul by Kim Yong-Il (DPR Korea). 38' Boualem Khoukhi (Qatar) wins a free kick in the defensive half. 38' Foul by Rim Kwang-Hyok (DPR Korea). 37' Offside, DPR Korea. Ri Il-Jin tries a through ball, but Kim Kyong-Hun is caught offside. 36' Corner, DPR Korea. Conceded by Abdelkarim Hassan. 36' Boualem Khoukhi (Qatar) wins a free kick in the attacking half. 36' Foul by Ri Un-Chol (DPR Korea). 35' Attempt missed. Kim Kyong-Hun (DPR Korea) header from the centre of the box is close, but misses the top right corner. Assisted by Rim Kwang-Hyok with a cross following a corner. 35' Corner, DPR Korea. Conceded by Almoez Ali. 34' Foul by Tarek Salman (Qatar). 34' Pak Kwang-Ryong (DPR Korea) wins a free kick on the right wing. 33' Attempt missed. Kim Yong-Il (DPR Korea) header from the centre of the box is high and wide to the right. Assisted by Rim Kwang-Hyok with a cross following a corner. 32' Corner, DPR Korea. Conceded by Almoez Ali. 32' Attempt blocked. Kim Song-Gi (DPR Korea) header from the centre of the box is blocked. Assisted by Rim Kwang-Hyok with a cross. 31' Corner, DPR Korea. Conceded by Boualem Khoukhi. 30' Foul by Pedro Correia (Qatar). 30' Jong Il-Gwan (DPR Korea) wins a free kick in the attacking half. 27' Offside, DPR Korea. Ri Myong-guk tries a through ball, but Pak Kwang-Ryong is caught offside. 26' Foul by Almoez Ali (Qatar). 26' Kim Chol-Bom (DPR Korea) wins a free kick in the defensive half. 26' Corner, Qatar. Conceded by Ri Il-Jin. 25' Abdelkarim Hassan (Qatar) wins a free kick in the defensive half. 25' Foul by Sim Hyon-Jin (DPR Korea). 23' Abdelaziz Hatim (Qatar) wins a free kick on the right wing. 23' Foul by Pak Kwang-Ryong (DPR Korea). 22' Corner, Qatar. Conceded by Rim Kwang-Hyok. 22' Boualem Khoukhi (Qatar) wins a free kick in the attacking half. 22' Foul by Kim Song-Gi (DPR Korea). 21' Attempt missed. Ri Un-Chol (DPR Korea) right footed shot from outside the box is high and wide to the right. Assisted by Kim Yong-Il. 20' Pedro Correia (Qatar) wins a free kick in the defensive half. 20' Foul by Kim Kyong-Hun (DPR Korea). 17' Ri Il-Jin (DPR Korea) is shown the yellow card for a bad foul. 17' Hasan Al Haydos (Qatar) wins a free kick on the right wing. 17' Foul by Ri Il-Jin (DPR Korea). 17' Jong Il-Gwan (DPR Korea) is shown the yellow card for a bad foul. 16' Tarek Salman (Qatar) wins a free kick in the defensive half. 16' Foul by Jong Il-Gwan (DPR Korea). 15' Pedro Correia (Qatar) wins a free kick in the defensive half. 15' Foul by Pak Kwang-Ryong (DPR Korea). 13' Ri Un-Chol (DPR Korea) is shown the yellow card for a bad foul. 13' Abdelaziz Hatim (Qatar) wins a free kick in the attacking half. 13' Foul by Ri Un-Chol (DPR Korea). 11' Goal! DPR Korea 0, Qatar 2. Almoez Ali (Qatar) right footed shot from the centre of the box to the bottom left corner. Assisted by Hasan Al Haydos. 9' Goal! DPR Korea 0, Qatar 1. Almoez Ali (Qatar) left footed shot from the centre of the box to the bottom right corner. Assisted by Akram Hassan Afif with a cross. 7' Abdelkarim Hassan (Qatar) is shown the yellow card for a bad foul. 7' Delay in match Abdelkarim Hassan (Qatar) because of an injury. 6' Foul by Abdelkarim Hassan (Qatar). 6' Kim Yong-Il (DPR Korea) wins a free kick in the defensive half. 6' Offside, Qatar. Abdelaziz Hatim tries a through ball, but Abdelkarim Hassan is caught offside. 6' Attempt blocked. Abdelaziz Hatim (Qatar) left footed shot from the left side of the box is blocked. Assisted by Abdelkarim Hassan. 3' Attempt missed. Boualem Khoukhi (Qatar) right footed shot from outside the box is close, but misses to the right. Assisted by Akram Hassan Afif. 2' Tarek Salman (Qatar) wins a free kick in the defensive half. 2' Foul by Jong Il-Gwan (DPR Korea).